Nintendo has announced that players looking to get a smashing head start on Super Smash Bros. for the Wii U will get a chance to try it out at select Best Buys this summer. 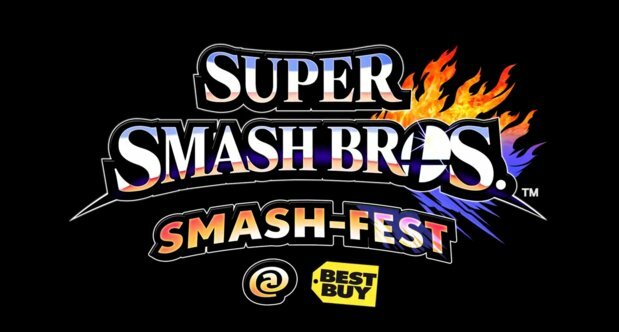 On June 11th from 4 to 9 p.m. and June 14th from 12 to 5 p.m. local time, more than 100 Best Buy stores around the U.S. will host “Super Smash Bros. Smash-Fest @ Best Buy,” which uses the same demo that will be featured at E3 2014 in LA. Participating Best Buys that will be hosting the event can be found here. In addition to 4 versus 4 battles, the first 70 attendees that pre-order Super Smash Bros. for the Wii U or 3DS will get a rare collectible Super Smash Bros. gold coin. Gamers will also receive a $5 My Best Buy Rewards Zone certificate when they both pre-order and pick up their game when it releases later this year. Both versions of Super Smash Bros. (Wii U and 3DS) will be out this year, though the 3DS is coming out a lot sooner than its sibling. More info on the titles can be found here. There are sure to be THRONGS OF PEOPLE at this event, so make sure you get to your local store early or sleep outside overnight if need be!